“Take every day to become better as a whole.” That was one of the main goals that Providence College Women’s Basketball Head Coach Jim Crowley preached to his players throughout the 2018-2019 season. This season for the Providence College Women’s Basketball Team has been one filled with exceeding expectations. Baskerville was just one of the six players to join Crowley’s squad this year. However, the first sport the 6’3” forward came across was track and field. 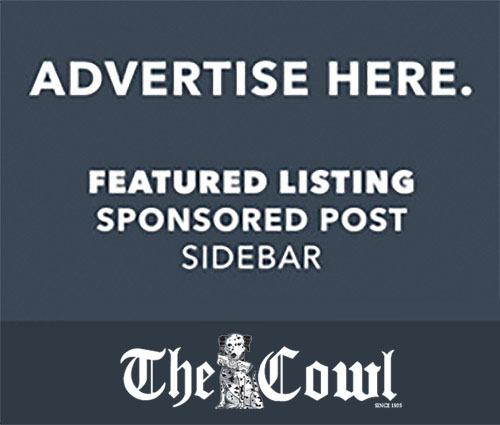 Baskerville ran for the Hershey Track and Field organization where she competed in the 100 and 200-meter dashes and the long jump event. Baskerville first picked up basketball from her older sister. The Baskerville sisters would team up at Enfield High School where winning was not always a tradition. In 2010 and 2011, Enfield High School girls basketball did not win a game. In 2012, they picked up three wins. In the final three seasons of Baskerville’s high school career, they made the state tournament semifinals. 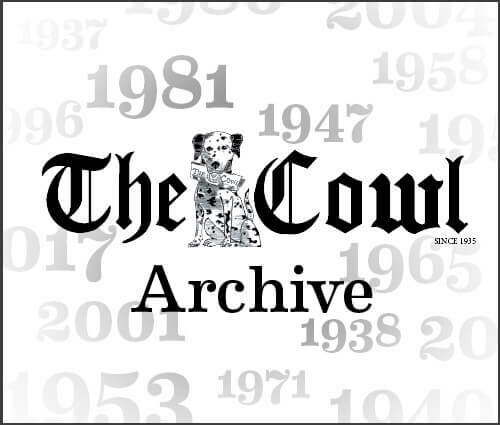 Throughout her high school career, Baskerville would go on to earn four All-Conference selections, two All-State selections, and holds the record for the most career points between both the boy’s and girl’s program with 1,870 points. In November 2017, Baskerville signed her letter of intent to play collegiate basketball at PC. Baskerville’s impact was immediately felt when she pulled down 13 rebounds against Yale University in her fifth game of the season. Baskerville and the Friars enjoyed success from all over. The Friars finished their season 19-16 with an 8-10 record in Big East play. The Friars picked up their most Big East wins since the 1996-97 season and their first Big East tournament win since 2001. 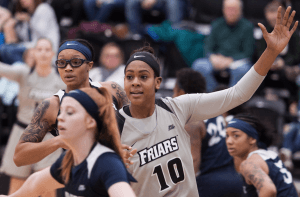 To top off the season, the Friars made their first postseason appearance since 2010 and advanced all way to the 16th round of the WNIT before falling to fellow Big East team, the University of Georgetown Hoyas. Baskerville also enjoyed success throughout her first season in a Friars uniform. She led the Friars with six double-doubles including four during Big East play. Baskerville now holds the program record for blocks by a freshman and recorded the second highest field goal percentage in program history. Baskerville finished her freshman season with 9.5 points per game and 7.3 rebounds per game. After her rookie season success, she became the second Friar ever to win the Big East Freshman of the Year award and was a unanimous selection to the Big East All-Freshman Team. 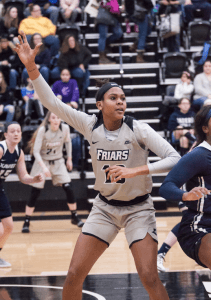 Baskerville was joined by fellow Friar Kaela Webb ’22 on the All-Freshman Team. With the talent that this Friars team boasts, this program under control by Coach Crowley is sure to be on the rise and one that will be fun to watch in the future. “We want to take this program as far as we can every season,” Baskerville concluded. With the taste of postseason experience this year, the Friars can build off of this season and work to compete for a Big East Championship and a NCAA tournament bid next season.